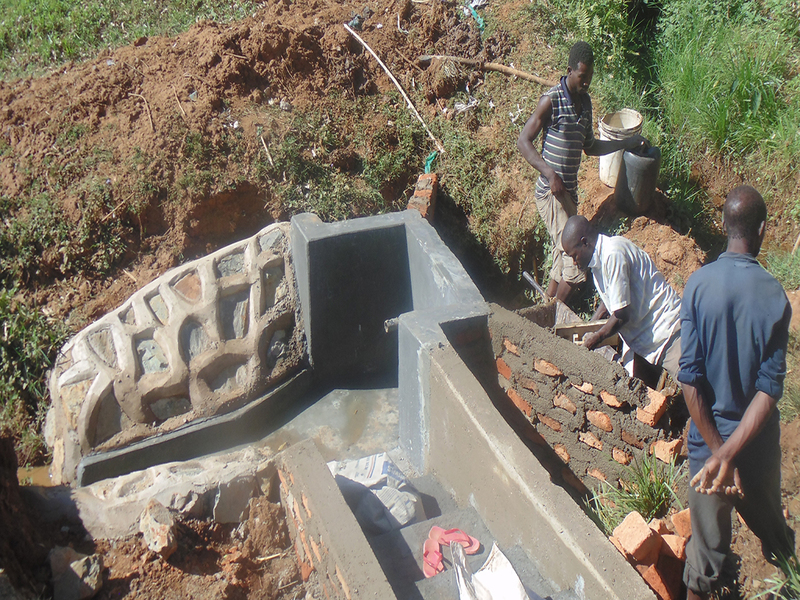 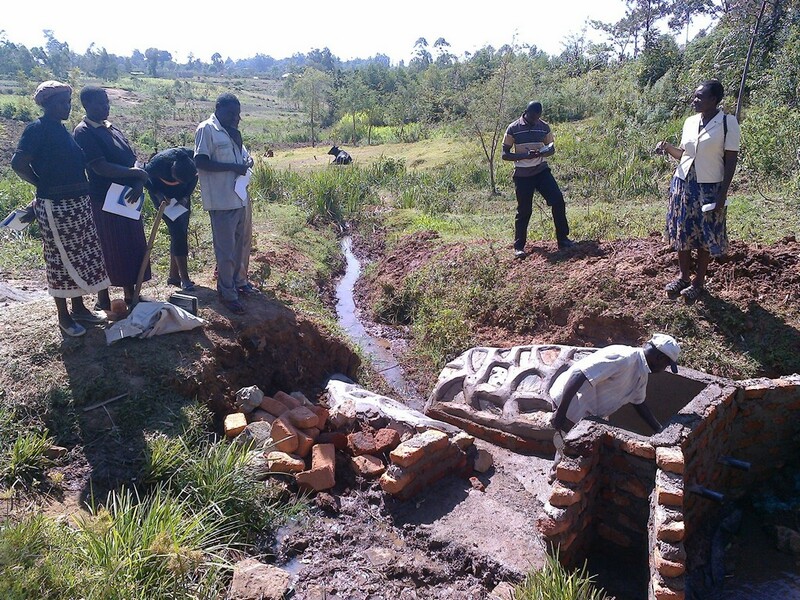 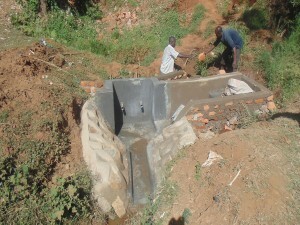 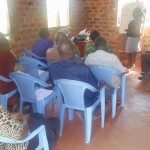 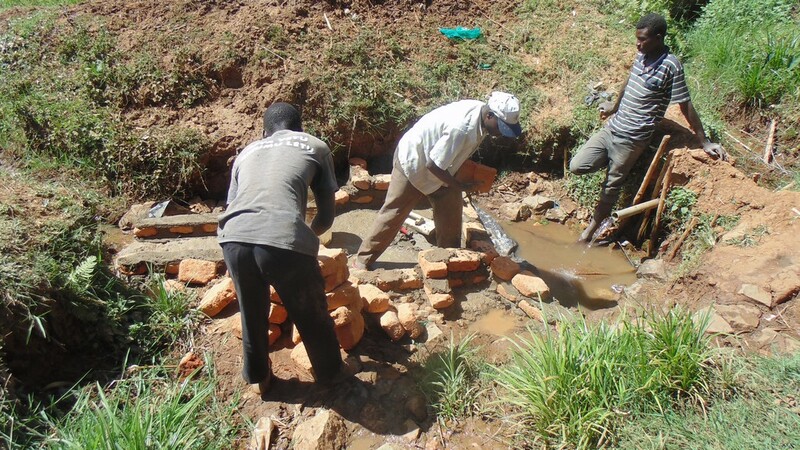 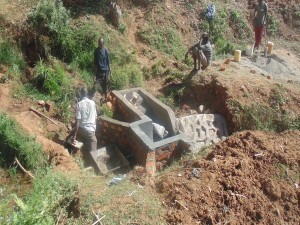 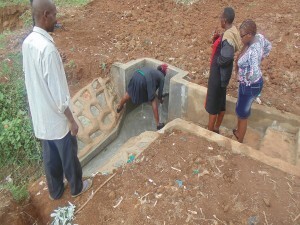 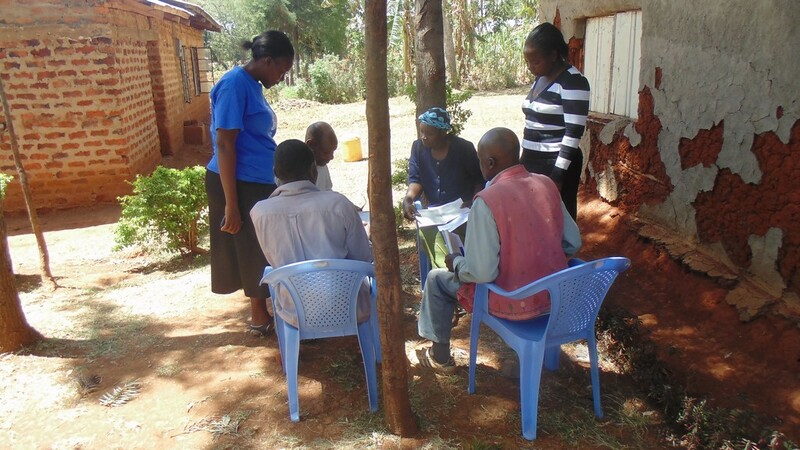 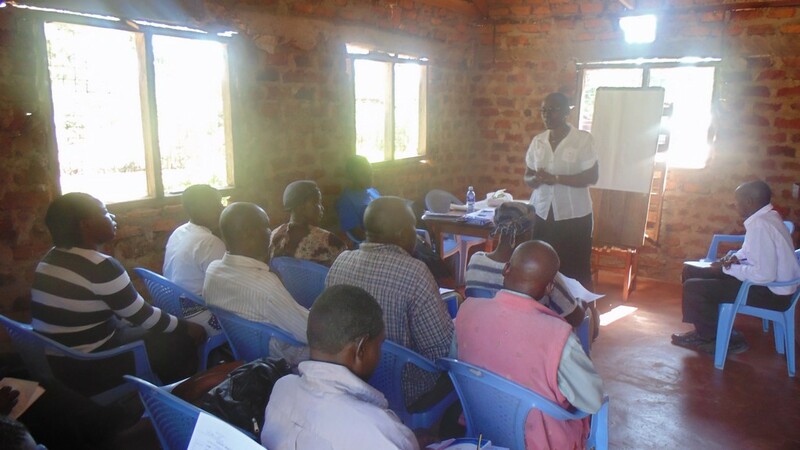 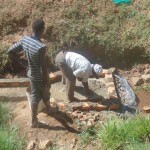 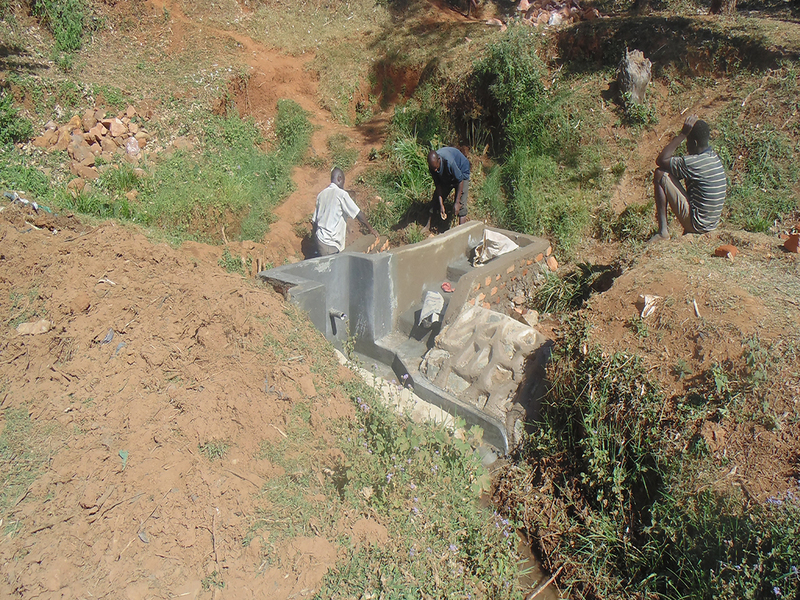 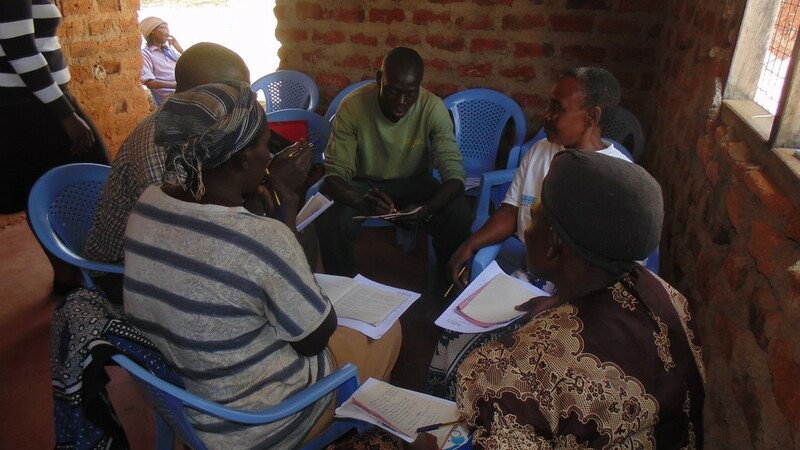 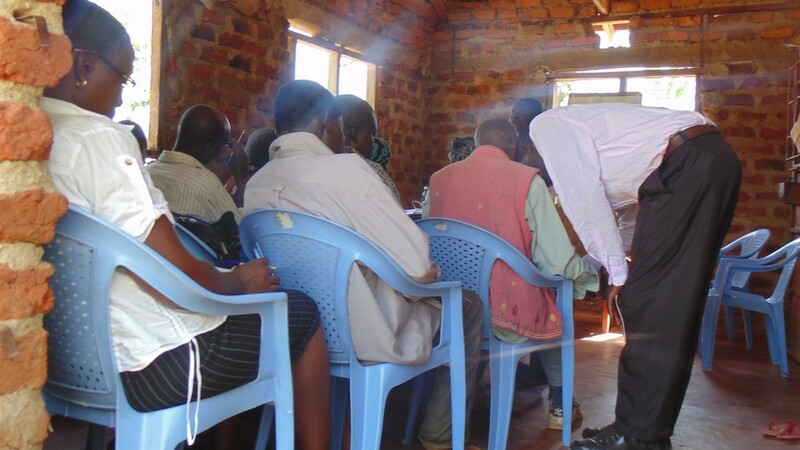 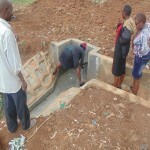 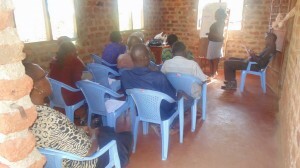 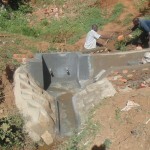 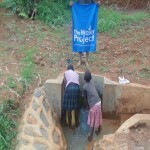 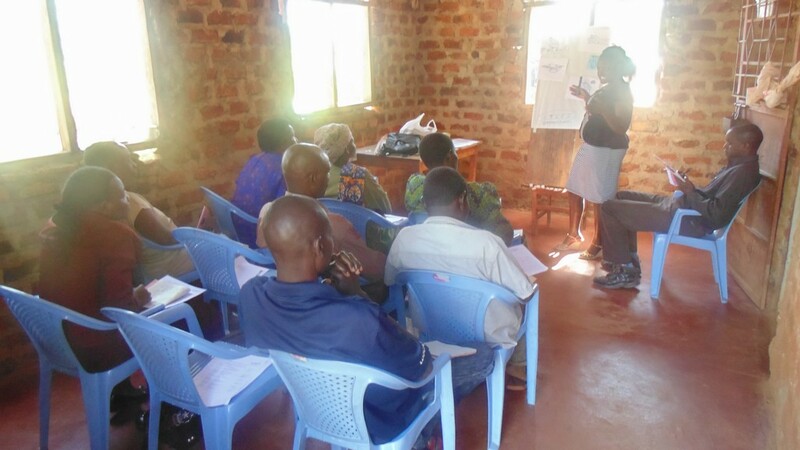 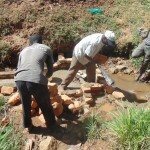 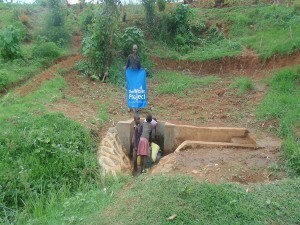 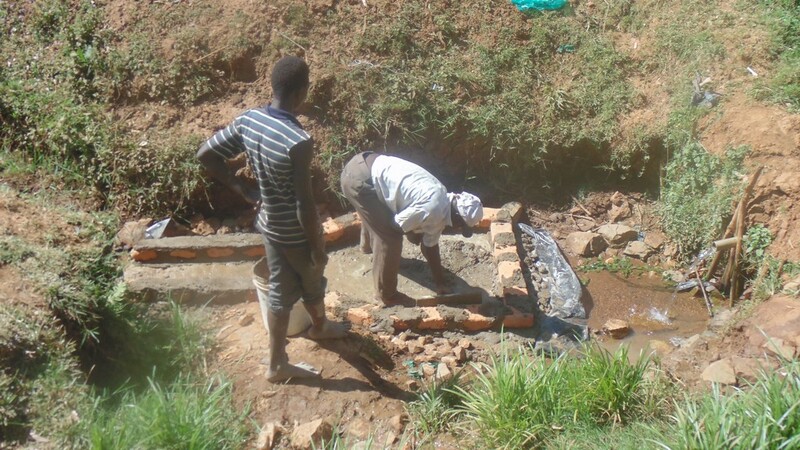 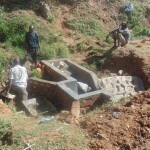 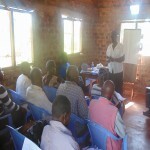 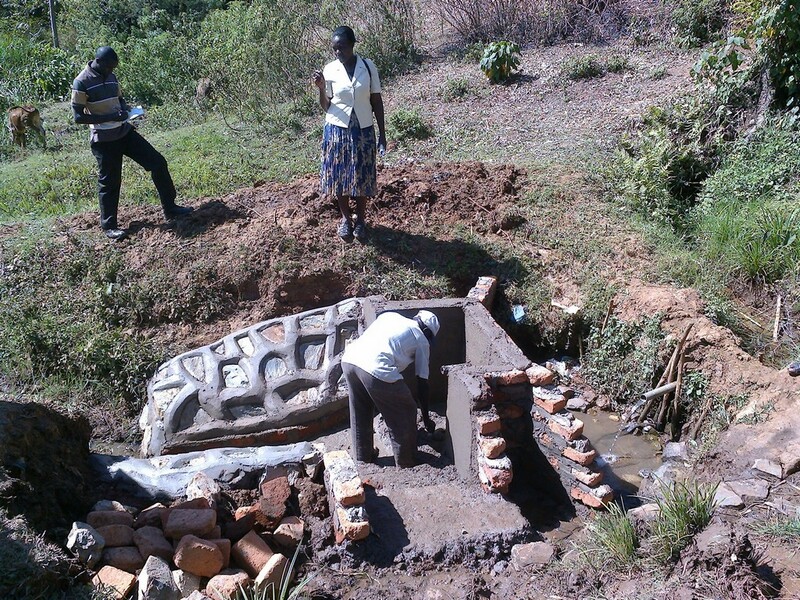 This project is being implemented by our partner Western Water And Sanitation Forum, and includes the construction of a spring protection system and latrine sanitation platforms (sanplats). 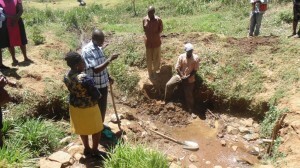 within Kakamega County. The spring serves a great number of people totaling 800 from 302 house holds, of which 320 are Men and 480 are women. 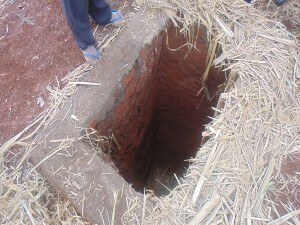 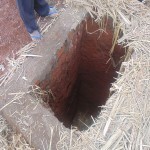 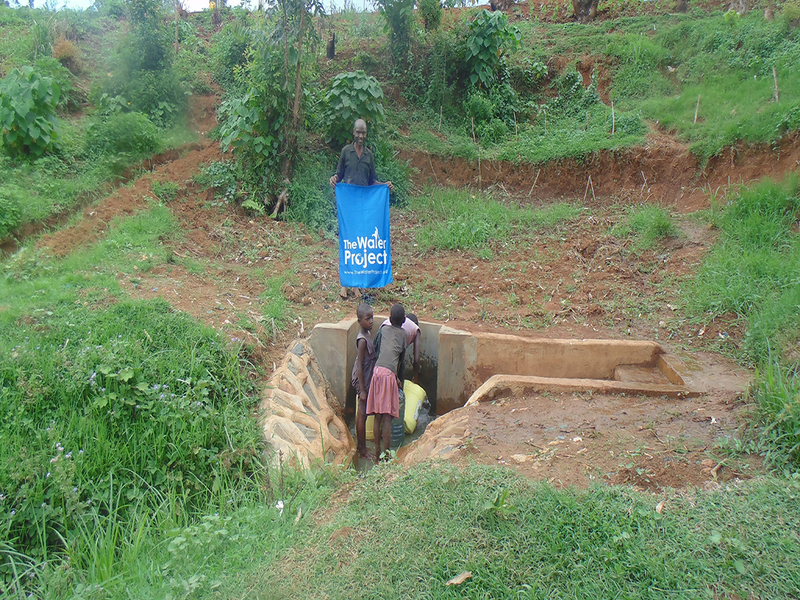 This unprotected water spring is located on the lower side and its also sorrounded by bushes thus open for contamination.Many people who lack latrines defecate close to the water point and during the rainy season the surface run off carries the wastes into the water. This has resulted to constant outbreaks of many water related diseases that included: Flu, typhoid, dysentry and coughs. Hygiene practices within the community are also poor as many people lack latrines, bathrooms, compost pits and few had clothelines and dish racks. 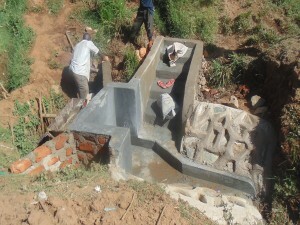 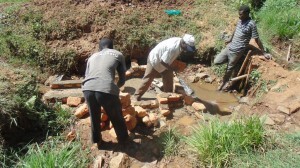 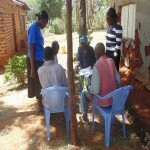 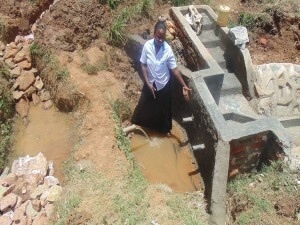 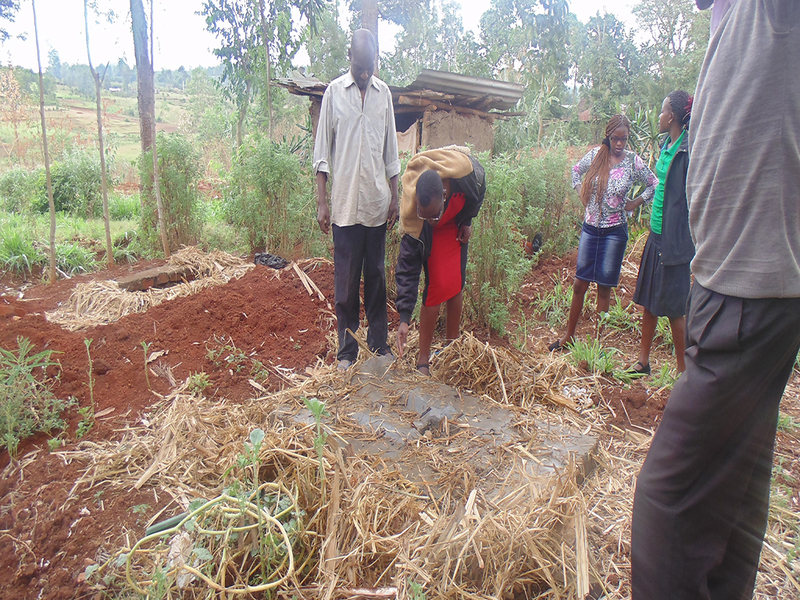 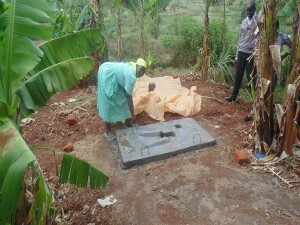 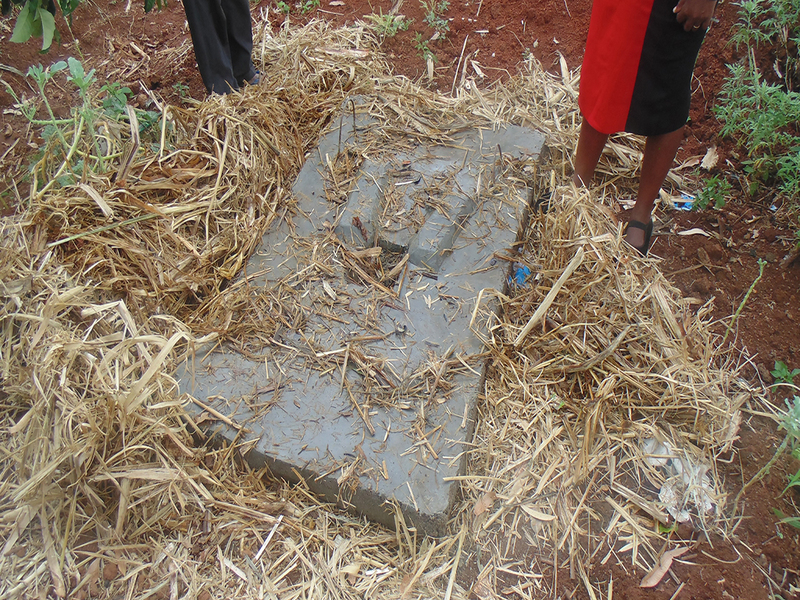 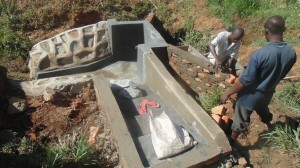 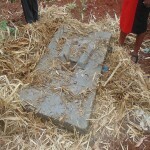 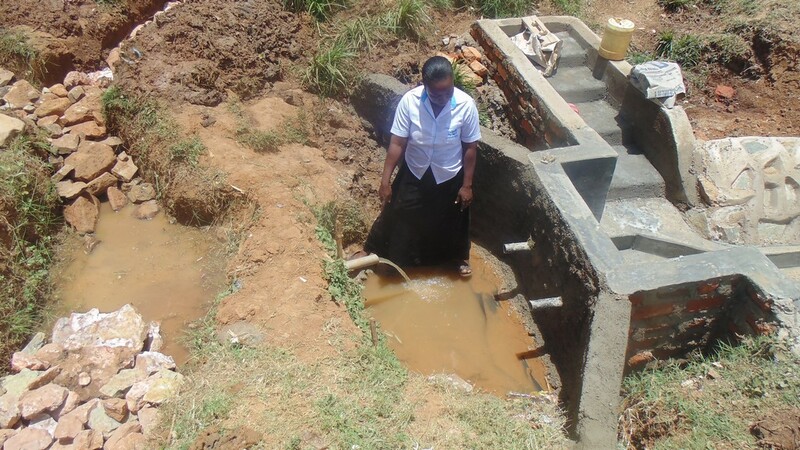 Sanitation is a challenge as many people lacked latrines and the few that had were in poor conditions. 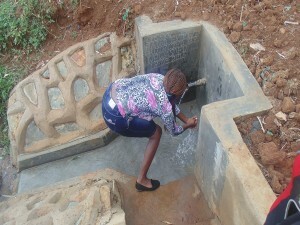 The children stated they always use the bushes as they feared falling into those toilets which had big holes. 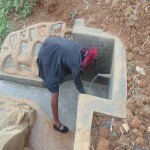 Though they stated that they wash their hands after toilet use, this could not be proved as there was no hand washing facility within the vicinity of the toilets. 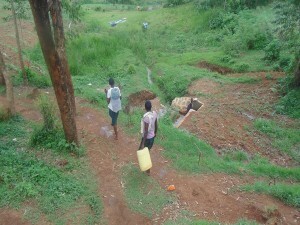 The community members had approached various organizations including the politicians to assist them in protecting the water source but they never succeeded. 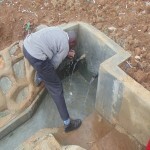 Politicians took advantage of them in that during campaigns, they promised to protect the water spring once they voted them in, which they have never fulfilled even after electing the said leaders to power. 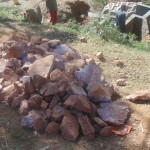 local materials any time if considered. 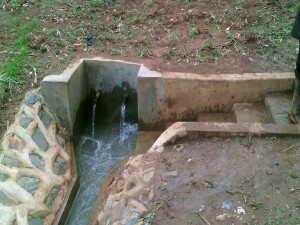 The protection of Luseka spring was completed and now in use. 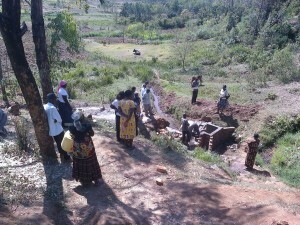 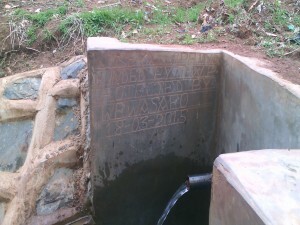 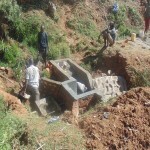 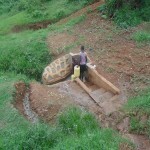 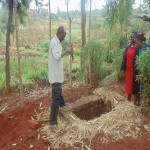 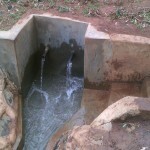 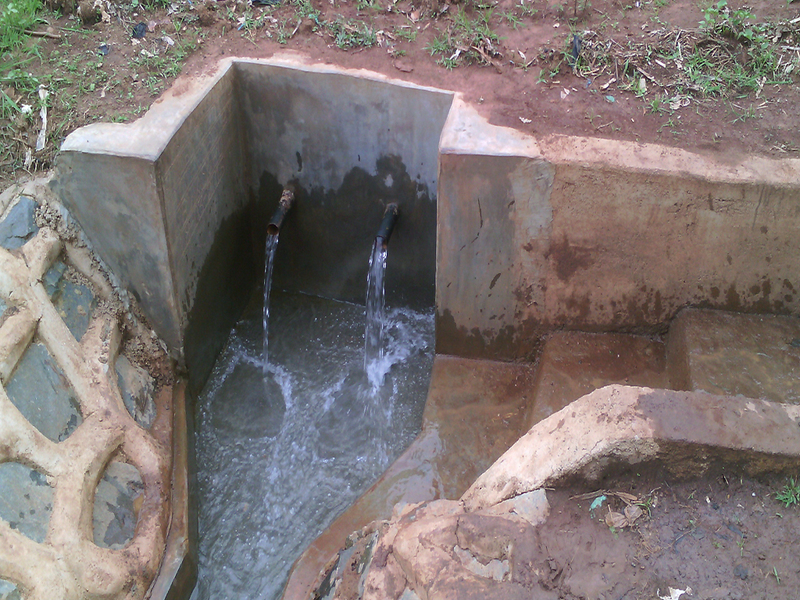 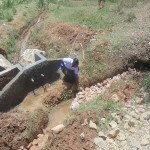 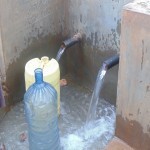 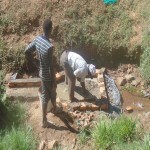 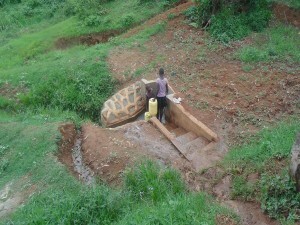 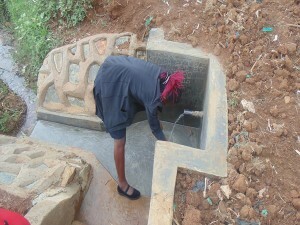 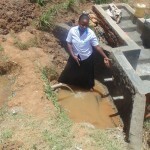 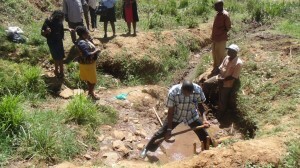 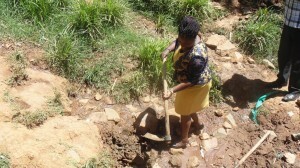 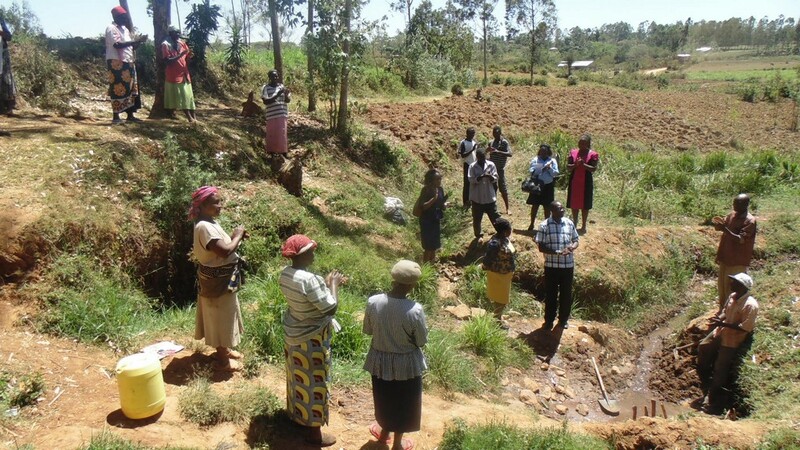 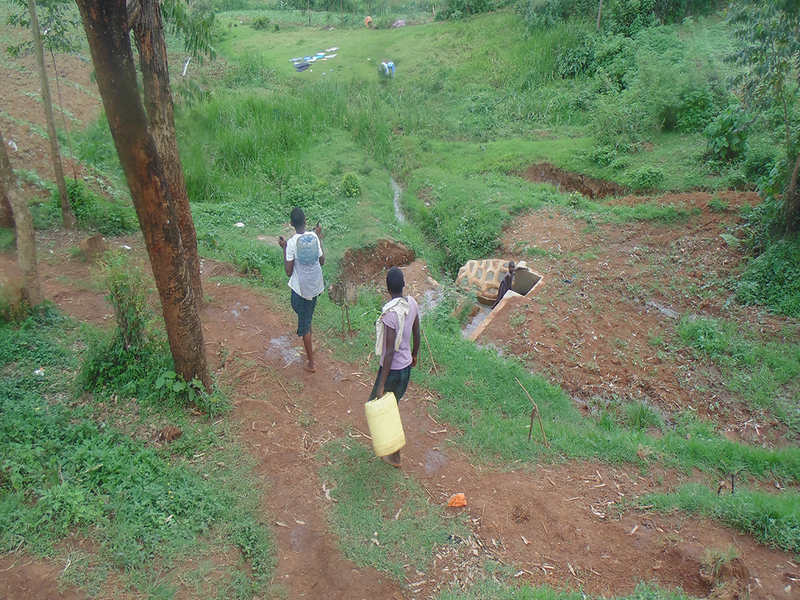 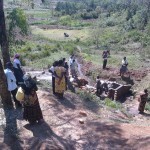 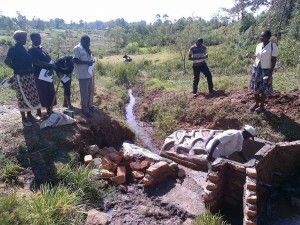 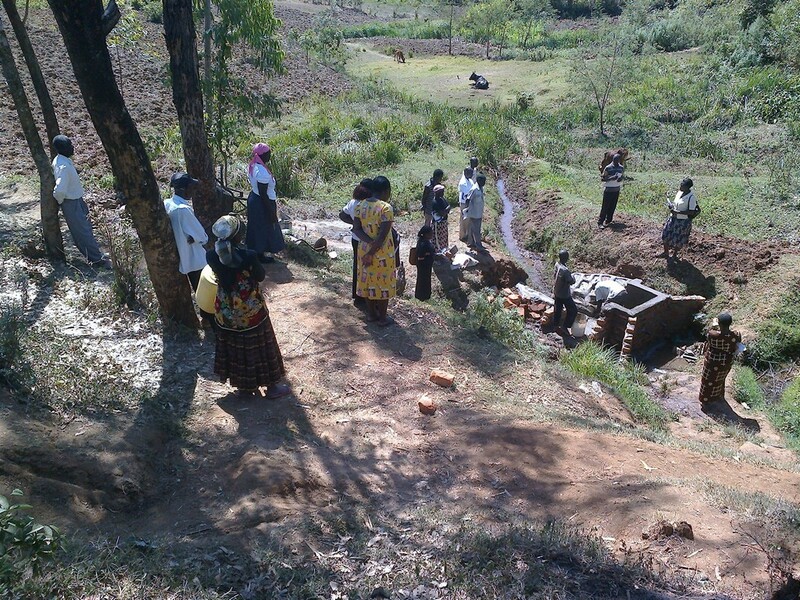 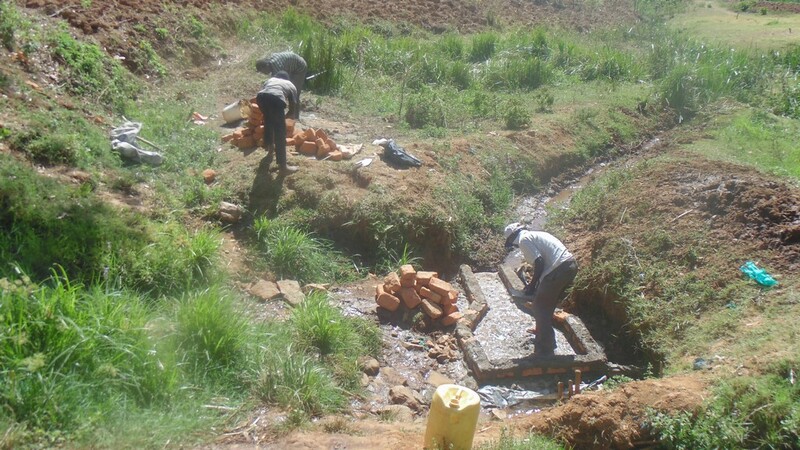 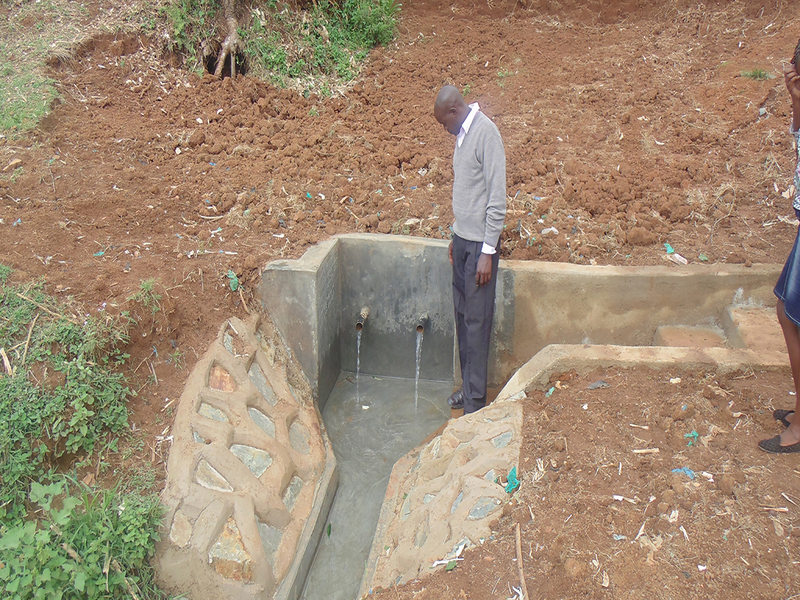 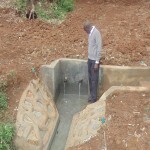 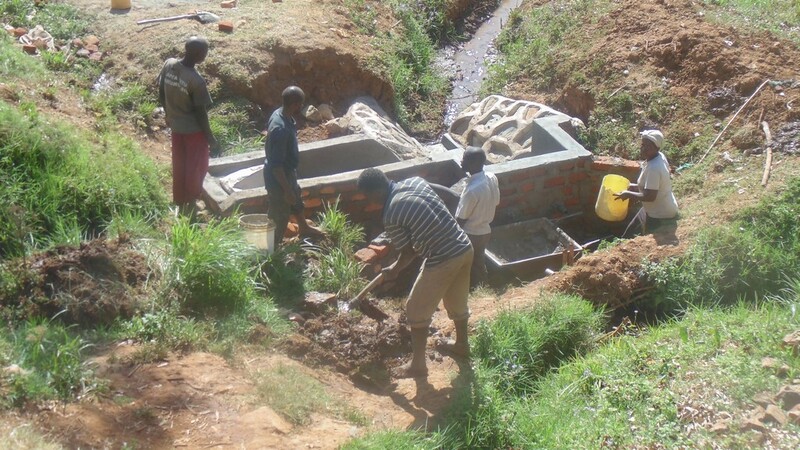 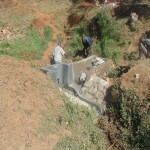 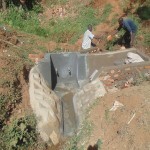 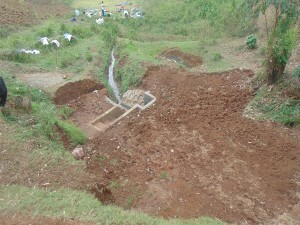 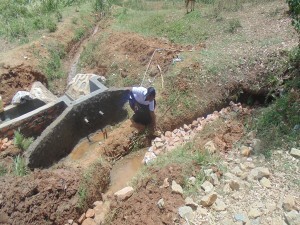 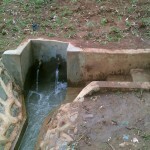 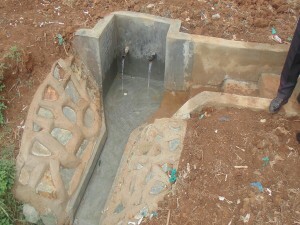 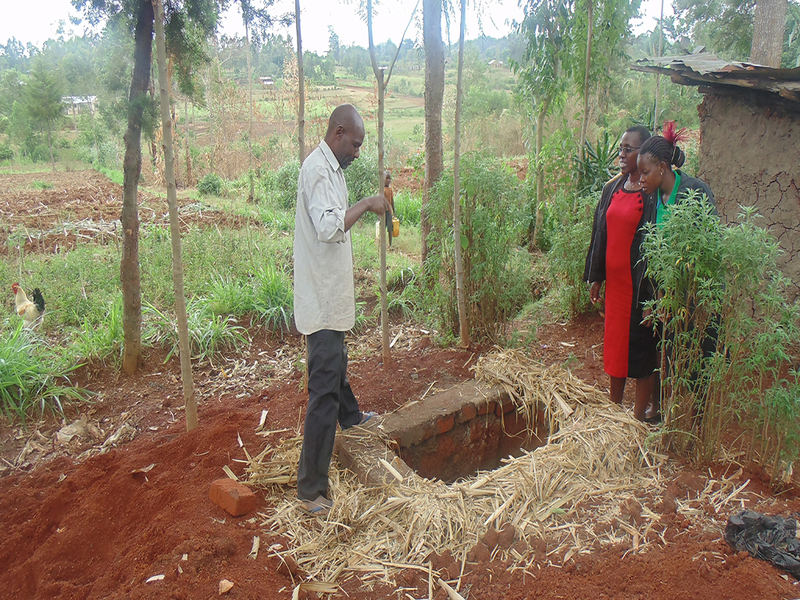 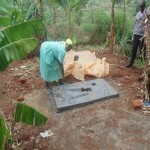 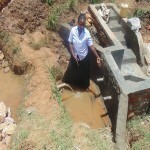 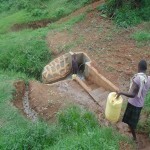 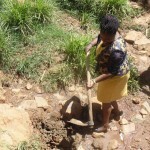 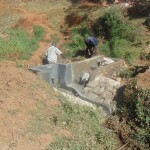 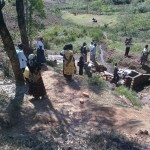 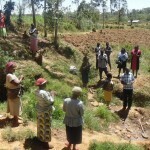 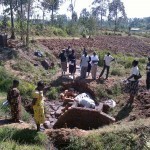 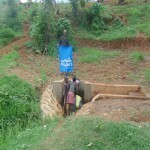 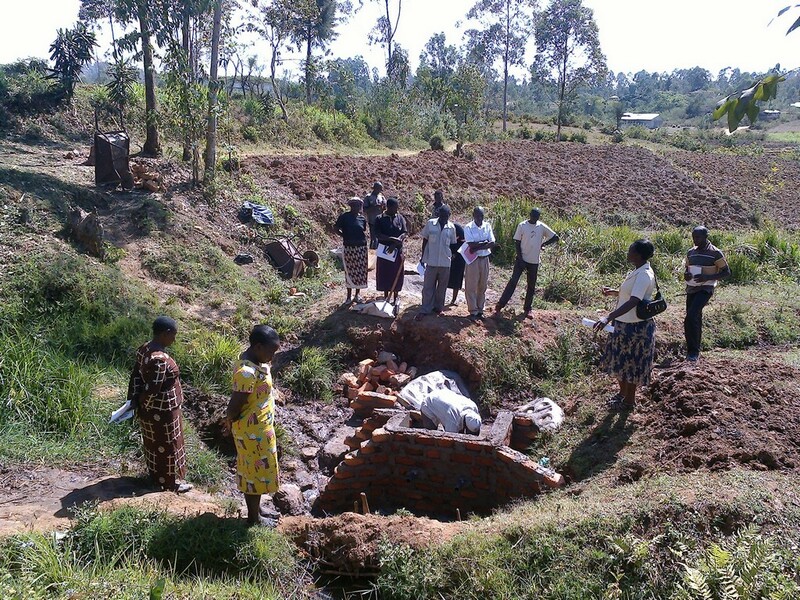 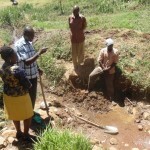 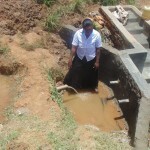 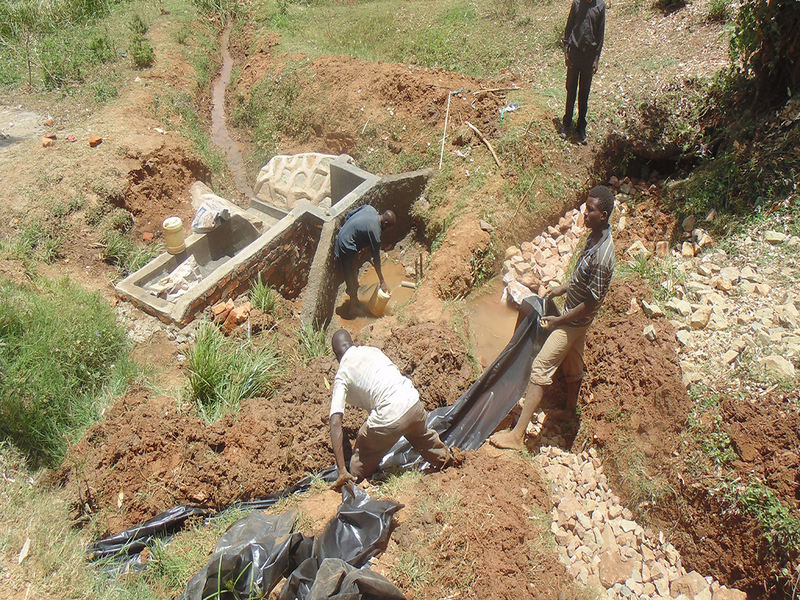 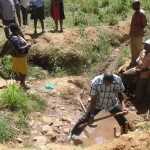 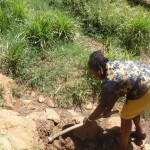 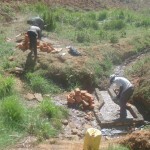 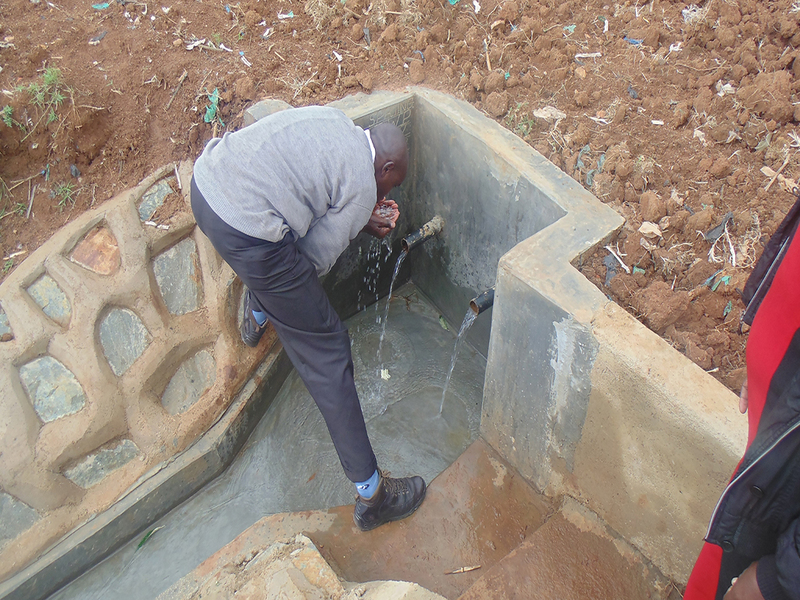 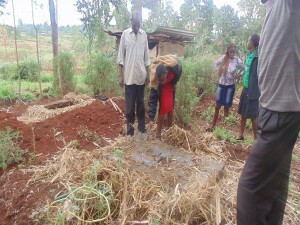 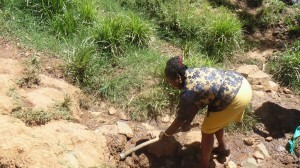 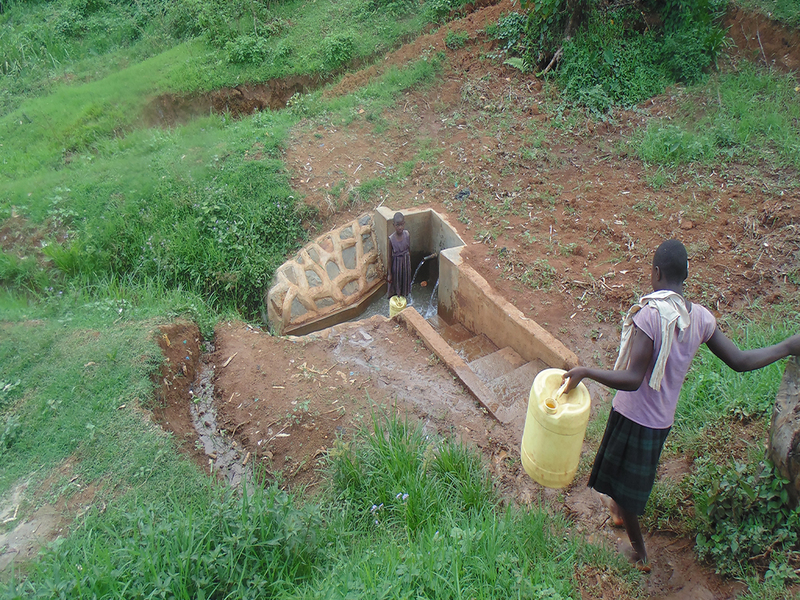 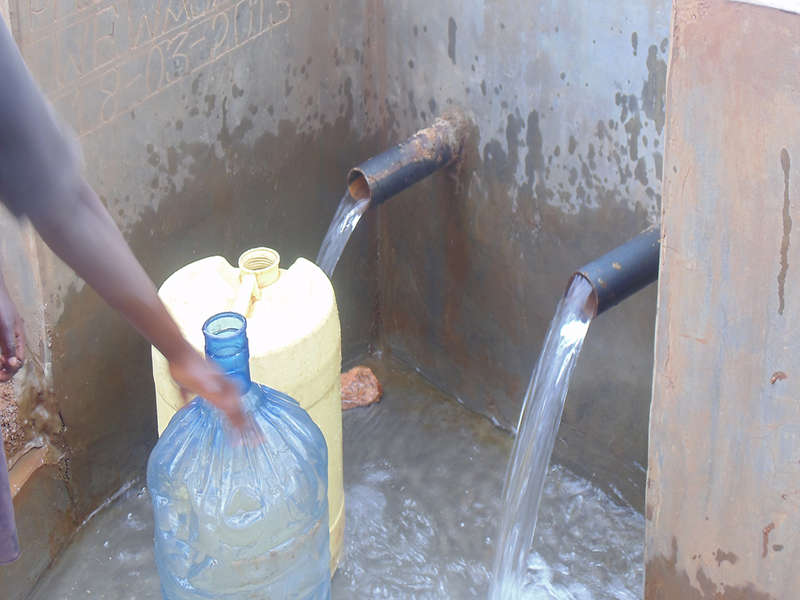 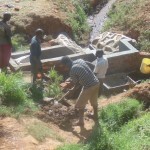 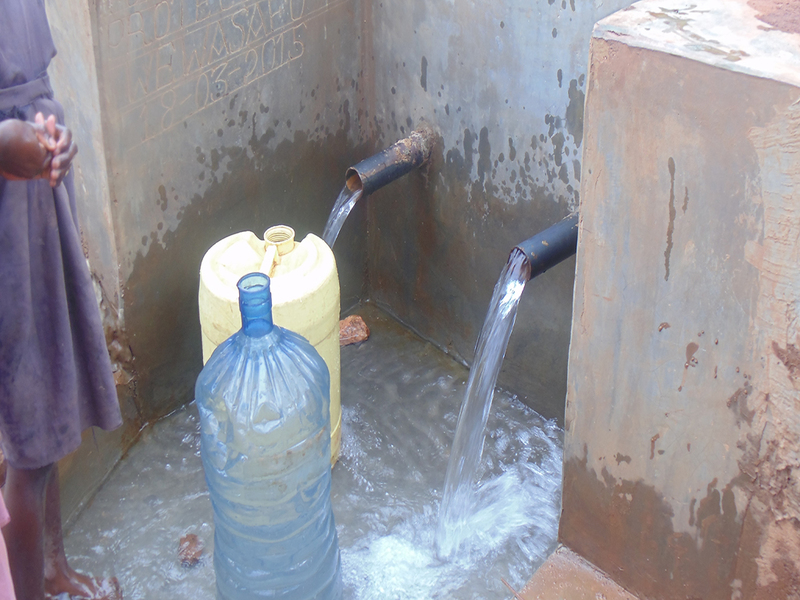 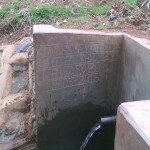 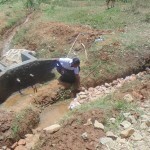 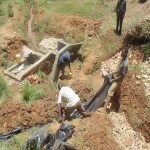 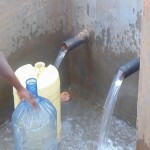 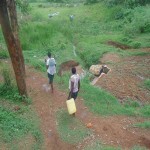 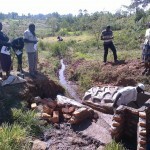 The spring is located in Bugondi village, Bukhungu location, Shirere Ward, Municipality division, Within Kakamega County. 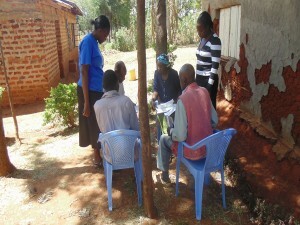 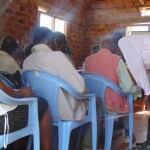 It serves more than 302 households of which 320 are men, 480 are women. 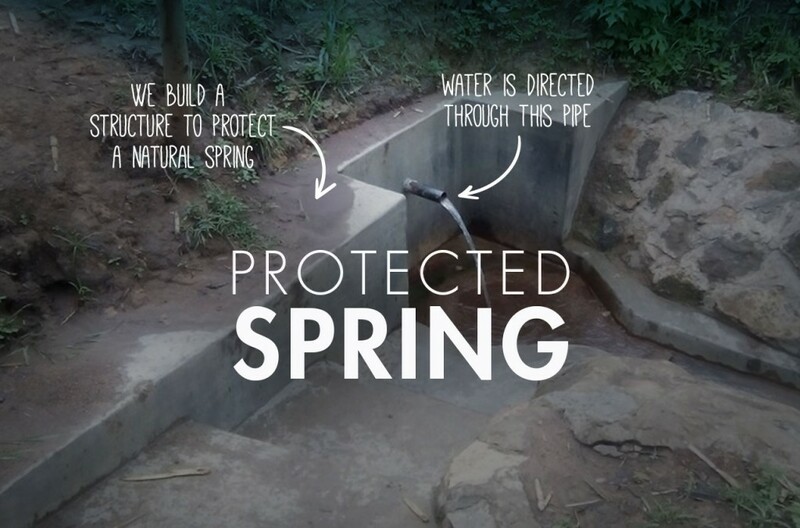 After protection of this spring, the number of users increased because the water safe and clean attracted many more householders users. 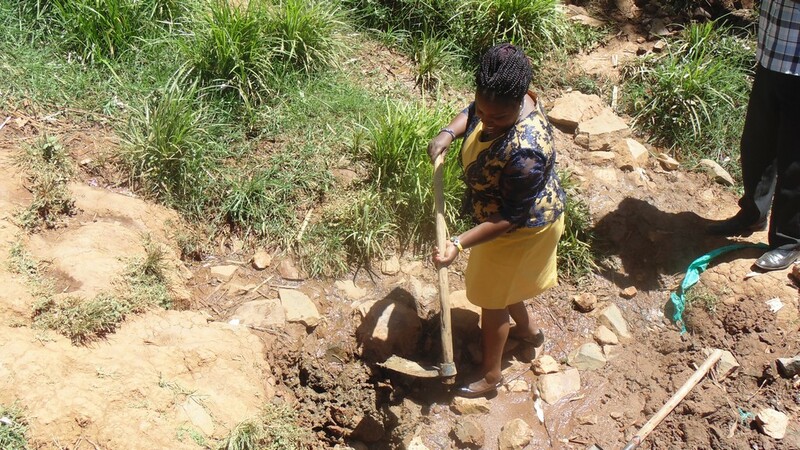 The beneficiaries of the spring stated that before protection, the spring was open to contamination and most people in the area were suffering from the water borne diseases which were diarrhea related. 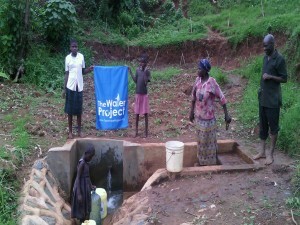 But now they can drink safe clean water without fears of suffering from water borne diseases or poisoning. 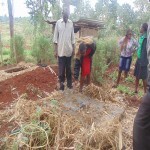 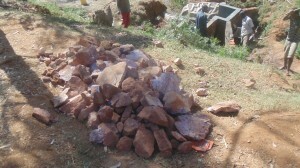 The slabs were cast and installed and the beneficiaries around the spring are using it and are very happy with the project. 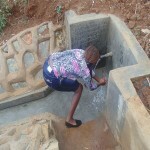 One of the beneficiaries admitted that she was comfortable using the slab because the floor is safe, easy to clean and also easy to maintain. 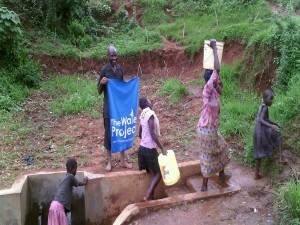 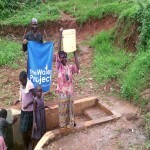 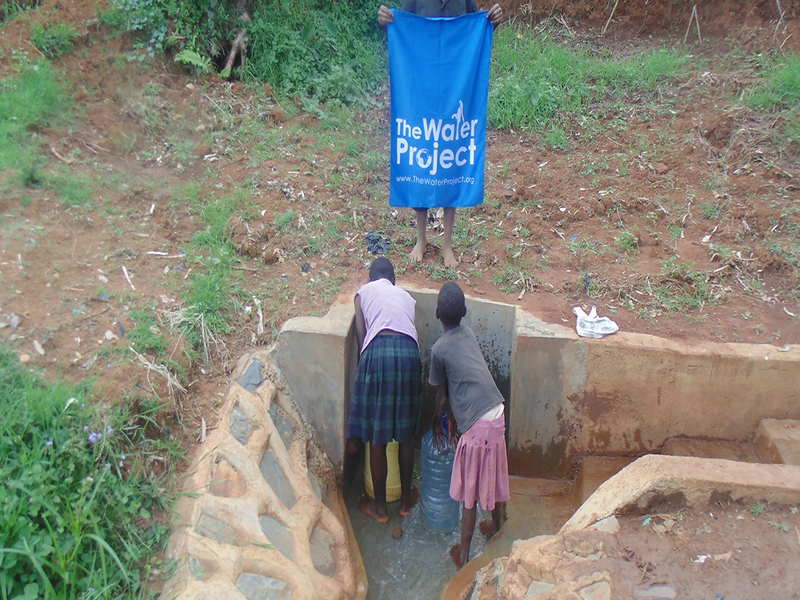 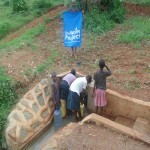 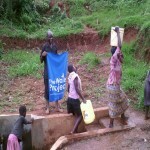 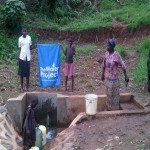 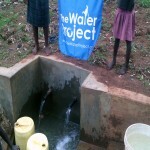 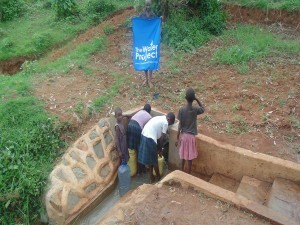 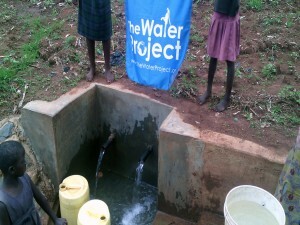 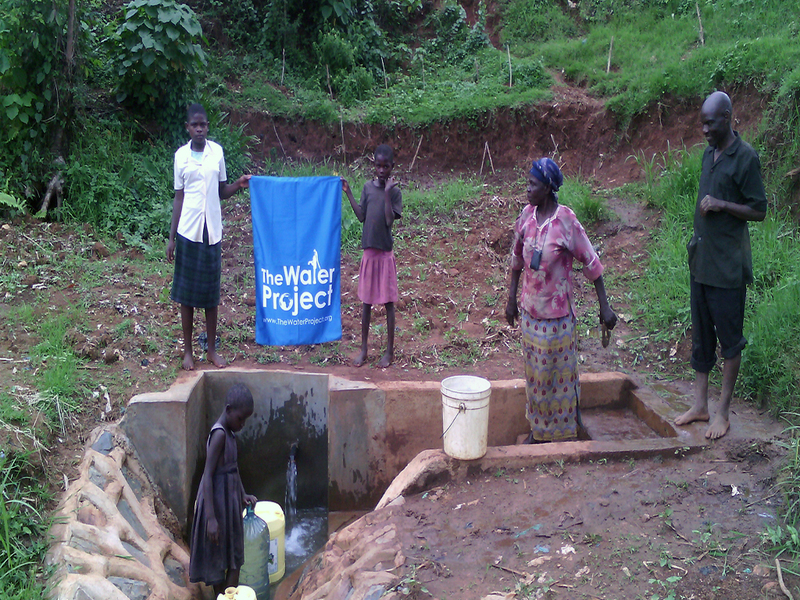 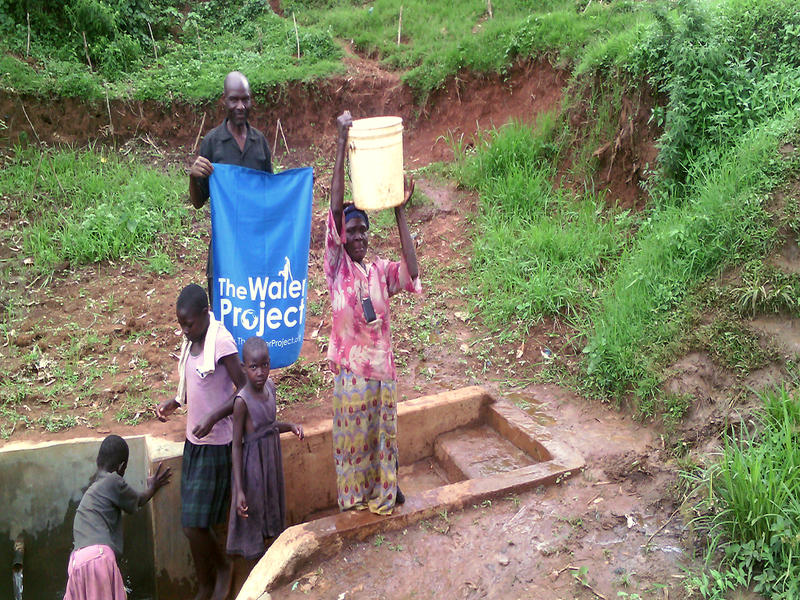 Thank you The Water Project –USA for your continuous support. Our communities will never remain the same. 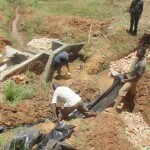 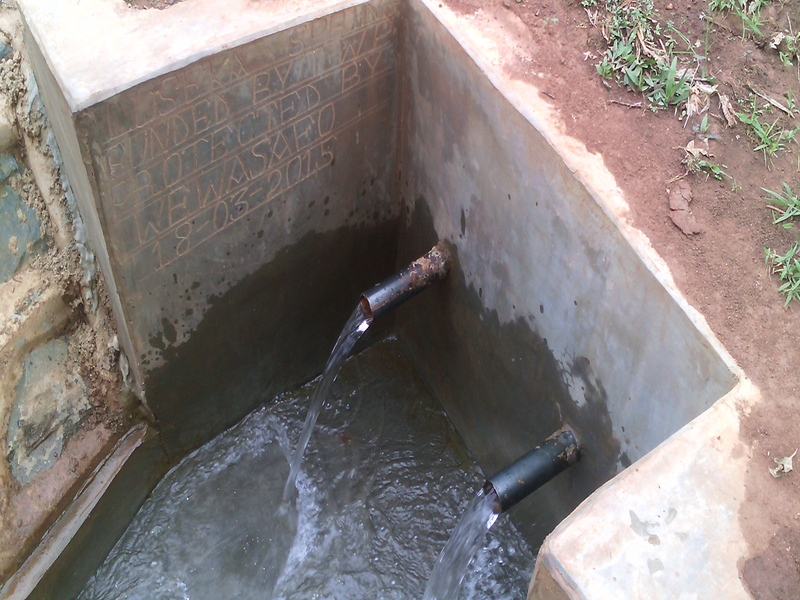 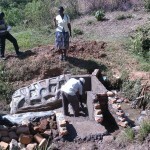 We are happy to report that Luseka Spring is now complete and serving the community of Luseka. 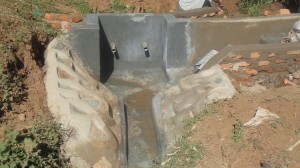 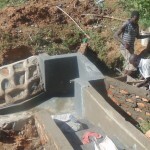 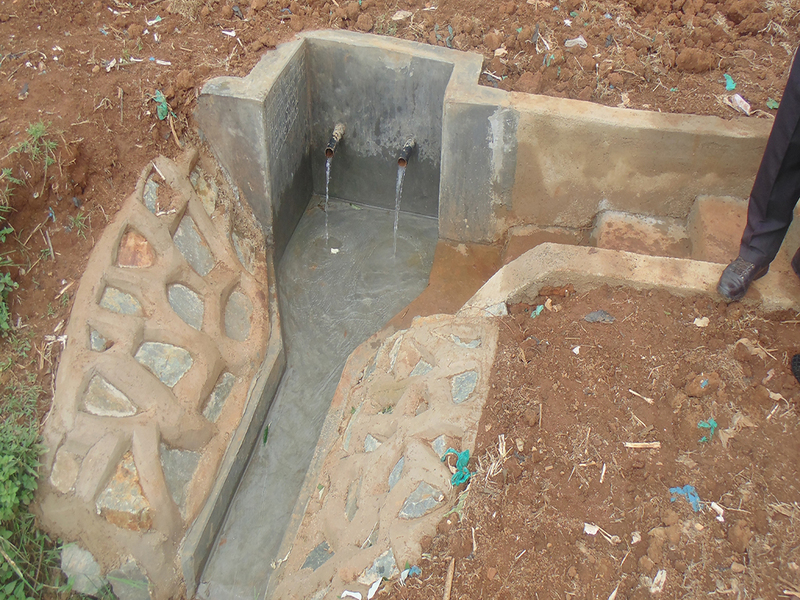 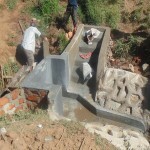 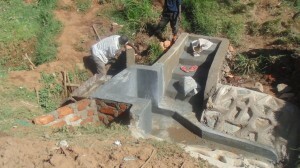 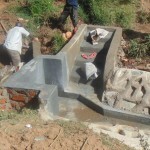 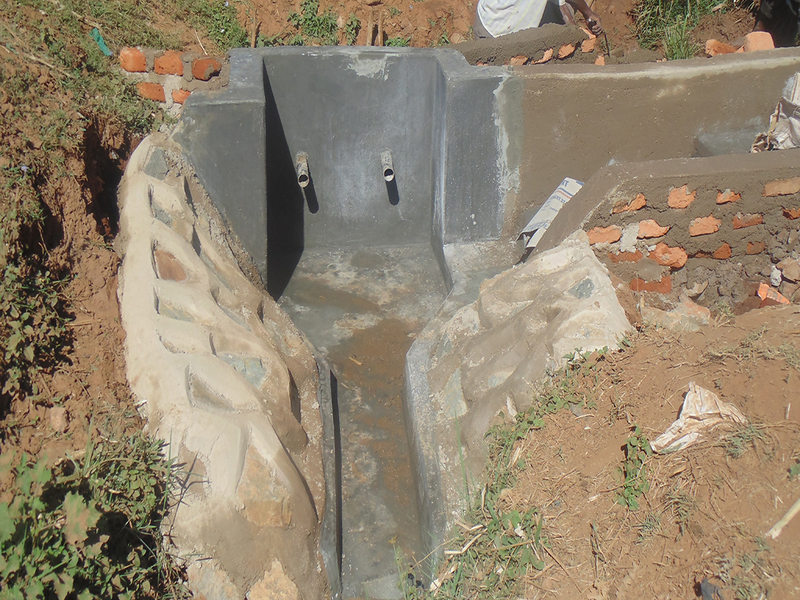 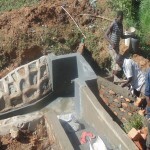 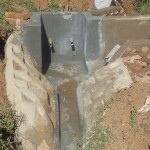 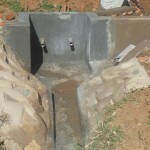 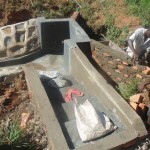 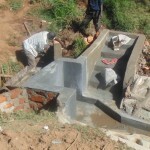 We have just posted a completion report from our partner in the field including information about the construction process of the spring, the selection of the latrine slabs and finally the handing over of the spring. We are excited to announce that, thanks to your willingness to help, Bugondi village, near Luseka spring in Kenya, will soon have a source of safe, clean water. 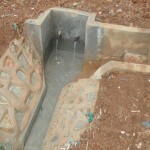 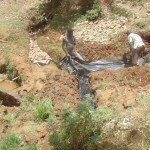 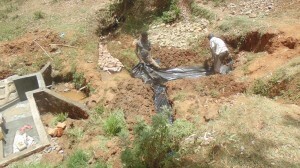 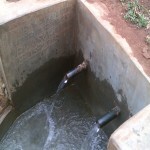 A spring protection system is being constructed that will ensure the water is not contaminated. 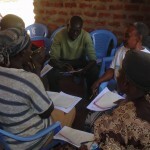 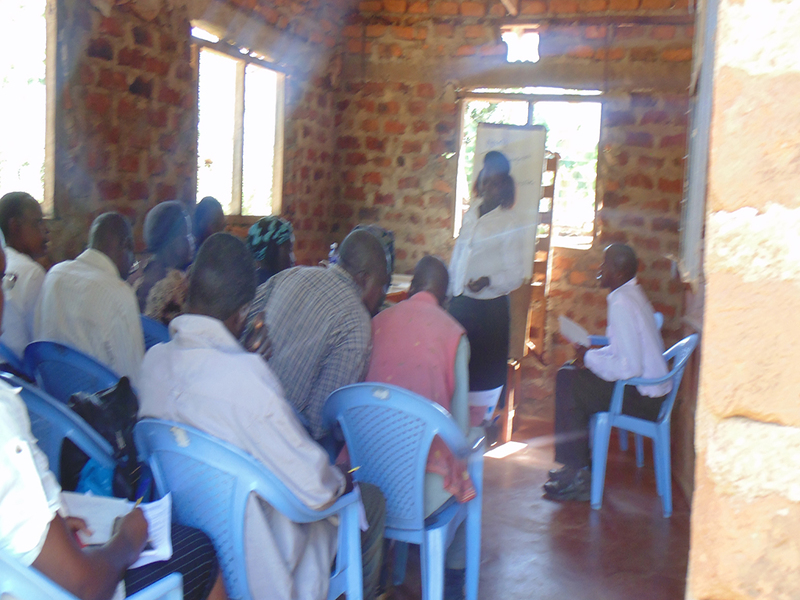 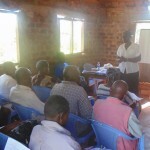 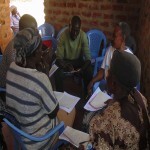 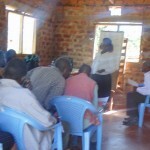 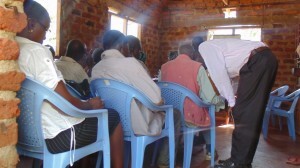 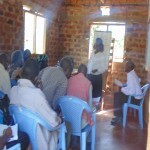 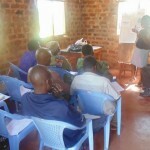 In addition, the community will be trained in sanitation and hygiene. 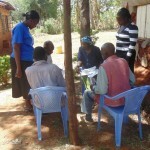 Together, these resources will go a long way toward stopping the spread of disease in the area. 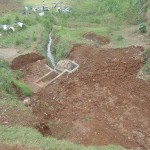 Construction has already begun. We just posted some great pictures of the spring and training exercises.